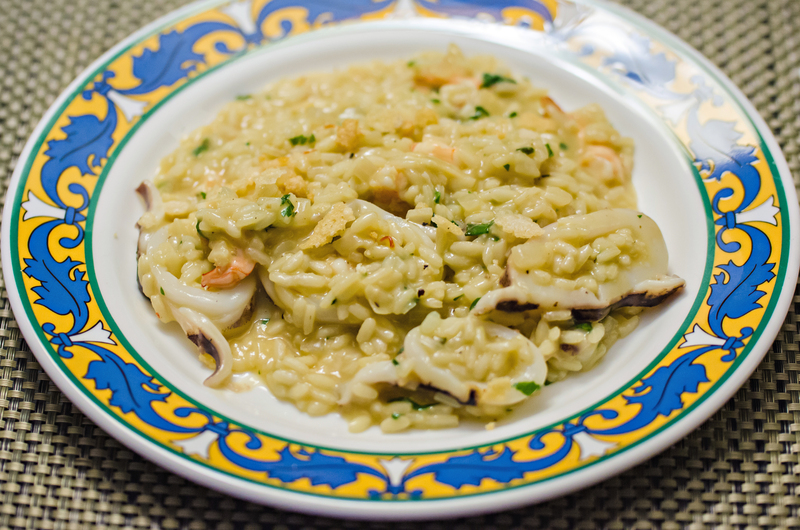 Seafood risotto with shrimp, squid, lemon juice, fresh basil, italian parsley, and saffron. This isn’t the best photo I can share but this was quite delicious! I made a seafood risotto with fresh shrimps and squid as my base ingredients. The stock I used was from the shrimp heads and some onions boiled for a couple of hours. Added into the mix was some parmesan, lemon juice, freshly chopped basil and italian parsley. The dish was topped with some parmesan crisps to add that little bit of crunch. The dish was sweet, salty, with just a hint of sourness from the lemons!